A group of alpacas in their pen at Mariposa Farm Alpacas. Every now and then, it’s good to get out of your own yard and discover what’s happening somewhere else. My friend Deborah has an alpaca business. She owns around 10 alpacas that she houses at the farm of another friend of mine in Fletcher, MO. She breeds and raises them for their fleece and will show some of her animals at various national competitions. An alpaca, not to be confused with a llama, is a domesticated species found in South America, specifically in the mountainous areas of Peru, Bolivia, Ecuador and Chile. Much smaller in stature than a llama, alpacas are not used as beasts of burden, but rather are bred mainly for their fleece. 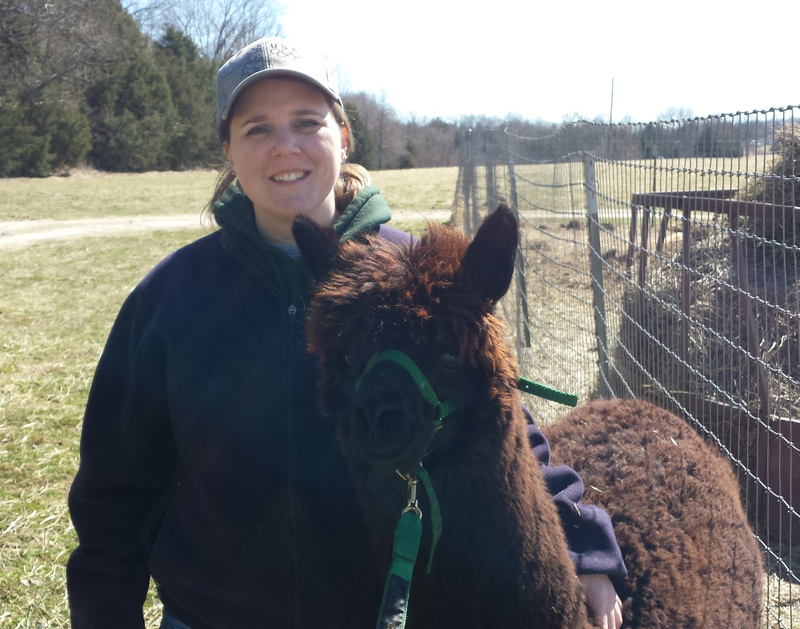 Deborah, Lisa (my friend who owns the farm) and I had to herd the animals to a more confined area so we could single out our target animal, in this case, a brownish-black alpaca named Matilda. While you’re doing this, the group of alpacas are darting around, trying to find a way past you. And let me tell you, if you’re not used to it, a 100-130 pound animal coming at you can be a little intimidating! The next thing you have to do, once you finally get the halter on the alpaca, is to walk it out of its pen and to the pasture. Now most of the alpacas do this for you really well. In fact, Merlin, a little white male, was more than happy to go for a walk with me. Matilda on the other hand, being a newbie to the whole process, didn’t want to have anything to do with it! Imagine trying to take a reluctant toddler for a walk when they’re fighting you every step of the way, only this one is almost as tall as you are! Deborah was pulling on the lead rope from the front while Lisa was pushing from behind! We finally made it out of the barn and part way down the road by the pens, but we never made it to the pasture. Matilda kept dropping to her knees and refusing to go any further! Now the purpose of this whole exercise is to get the animal used to what will happen at one of the shows, and Matilda is one of the animals that Deborah wants to enter into the competition. At the show, they’re led to the middle of an arena where they have to stand still while the judges look them over. Despite all the trouble that she gave us while walking, Matilda actually did very well standing for us, which is more important where the judges are concerned. I had to act like one of the judges at the show. While Deborah held Matilda still, I had to look her over. I don’t know what I’m looking for, but as the pretend judge, I had to run my hand along her spine, lift her tail and check her fleece in several areas on her back. Since Matilda wasn’t used to it yet (and, well, this “city girl” wasn’t really comfortable with it), Deborah was the one who checked her teeth. This is to get the animal used to being handled at the show, and Matilda did a very good job! 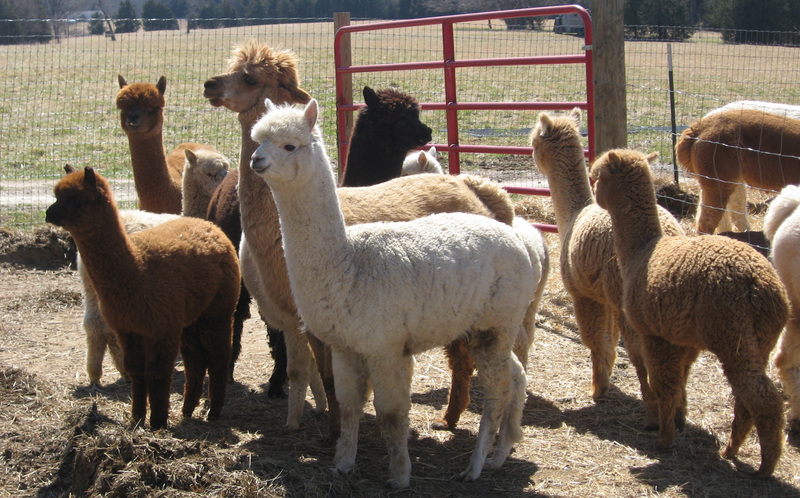 For more information about Mariposa Farm Alpacas, its animals or its products, visit http://www.mariposafarmalpacas.com. 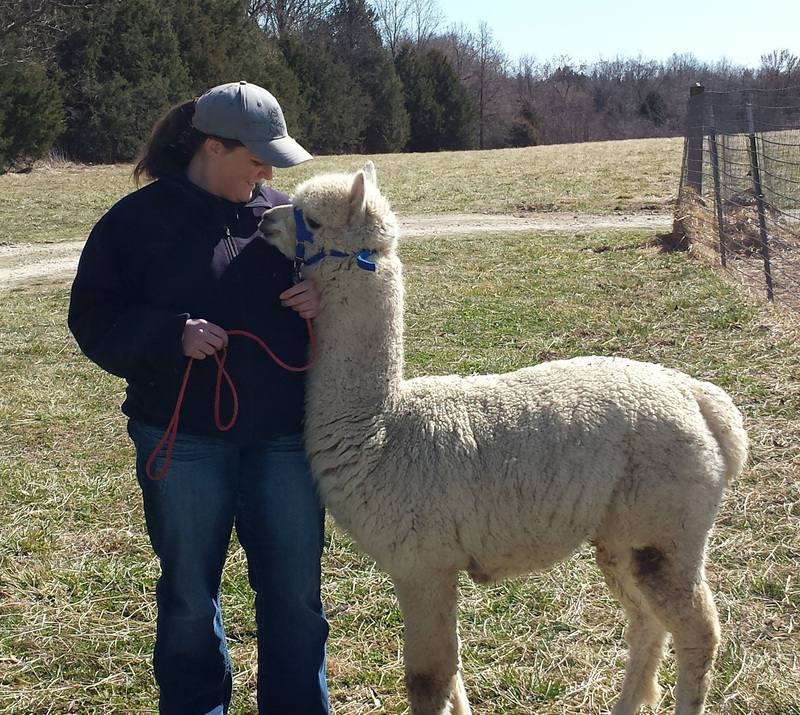 ~ This article was published with permission from Mariposa Farm Alpacas. This entry was posted in Field Trip and tagged alpacas, animals, country, farm, farm life, farm management, fleece, livestock, Mariposa Farm Alpacas, training by Angela Ewing. Bookmark the permalink.